So you may have thought you would never have needed to seek out a pop up or portable shower unit?!! But if you’re organising a big event or outdoor frolic and you have landed here, then welcome! With this clever little outdoor unit, we aim to fix all your alfresco showering needs – and all with a little added panache! Find out more and get in touch to HIRE for just £150! 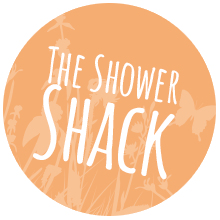 What is the shower shack? 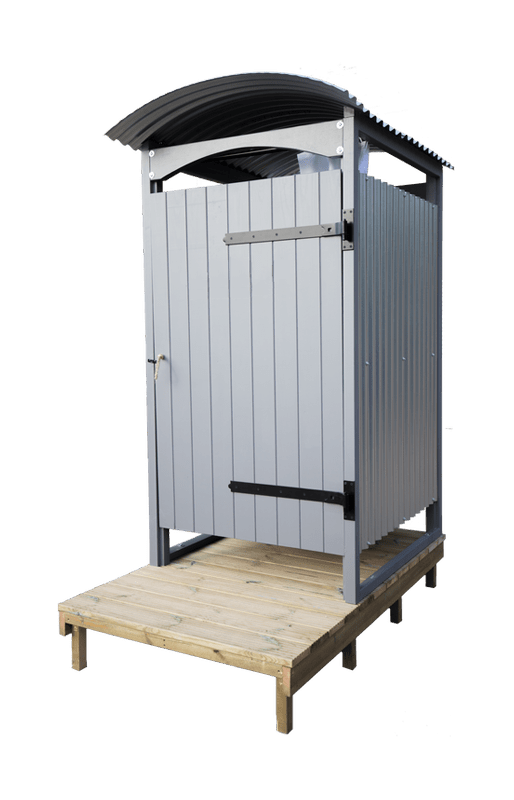 It is a totally portable shower unit, flexible enough to offer toasty warm showers in any outdoor location - with or without running water availability. It is! And fear not, this is something you just won’t need to worry about. The Norfolk Bells team will deliver and assemble this nifty unit in no time and will also give you some quick, easy to follow operating instructions. Will the water be hot? It will be, of course!! - it may be camping but we are not savages! The water is heated by propane gas. We simply connect the system up to a propane gas bottle and away you go. Indubitably! Just like at home, the temperature is entirely controlled by the user, with a temperature dial. And to ensure safety first at all times, you will find a handy set of safety instructions displayed inside the shower unit. We always advise you start nice and cool and turn the heat up until you reach that lovely oooooooh temperature. How can we ensure the waste water doesn’t harm the environment? We always supply and highly recommend eco-friendly shower products that have natural low levels of phosphates and other environmentally damaging chemicals and, because we’re lovers of rainforests and Orangutans too, we also ensure all products we supply are Palm Oil Free! But, to make doubly sure we leave no trace, our showers are fitted with filters which remove particulates and phosphates, ensuring we’re not introducing any unwanted nutrients into the ecosystem. And with regards chlorine levels, tap water in the UK already has safe levels of chlorine to kill most pathogens, so really, the shower shack will have no more environmental impact than a common garden hose. How can we ensure the safety and quality of the water? As long as you are using fresh running water, there is very little chance of any waterborne diseases such as legionnaires disease and, by running the tap/shower for a few moments before use should clear out any stagnant water which may have been sitting in the pipes. For stored water, the source should be kept below 20°C to prevent Legionella activity. The supply should be refreshed at least weekly, without being able to stagnate and the source should be suitably chlorinated. All shower heads and hose pipes should be regularly descaled and disinfected. How far can we deliver our Shower Shack to? We can hire them out all across East Anglia and happy to deliver further afield if desired (just get in touch and we can discuss). All deliveries in excess of 50 miles of our base in East Norfolk are subject to a small additional delivery charge. 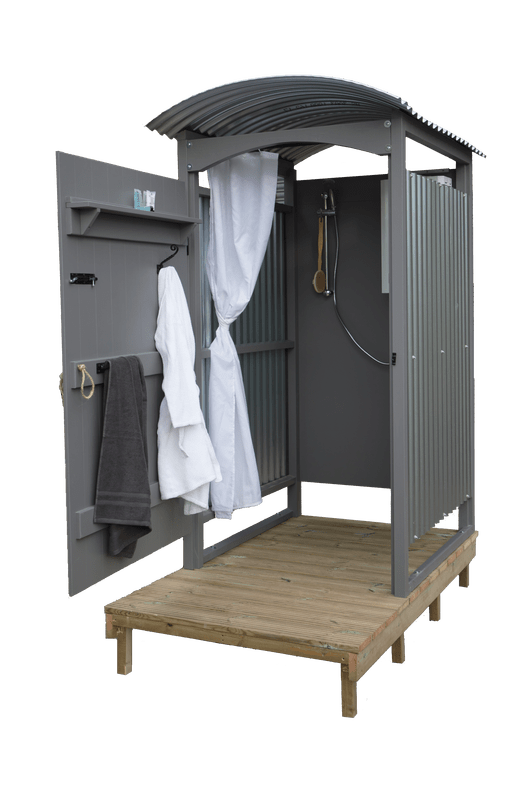 If you have any more questions or queries or if you would like to enquire about booking our shower shack, please do contact us for more information or go to the designated Shower Shack website to find out more about the product.